Hulu’s RUNAWAYS series hit a lot of the right notes with fans. Despite changing the source material quite a bit, the way the show captures Brian K. Vaughan’s characters is incredible. With the show’s success, Hulu has greenlit and started filming for RUNAWAYS Season 2. With that said, though, we know almost nothing about where the show will go. The first season ended on a massive cliffhanger, meaning that the writers could push our favorite teen heroes in any direction. With that in mind, we dived deep into the source material to speculate about the upcoming season. This will largely be a comic book analysis. While I will dive into details about the show, they will simply be to discuss ways the writers could twist the comic stories to fit their needs. More importantly, be wary of spoilers. I will be digging into the deepest corners of the comics, as well as the show’s secrets. Do keep that in mind before you proceed. Though we know very little about RUNAWAYS Season 2, we can gain a lot by looking back at the close of the first season. Having bested their parents and saved Karolina from their clutches, the Runaways have finally claimed their namesake. They have run away in an attempt to save themselves from their evil parents’ influence. However, Jonah has managed to pin one of the Pride’s sacrifices on the teens, as well as the false kidnapping of team member Molly Hernandez. With that in mind, they are not only running from their parents but from the law itself. In a recent press release on DigitalSpy.com, executive producers Josh Schwarz and Stephanie Savage stated that this particular element will play largely into the next season’s plot. This also means that the team will be forced to find some place to lie low. The writers also mentioned that the team’s hideout from the comics, the Hostel, will make an appearance, though its importance is not entirely certain. Another key element of RUNAWAYS Season 2 will come from the parents. In that same press release, Savage and Schwarz discussed the new dynamic within the Pride. After all, Jonah has lied to the parents from the start. His plans to destroy LA using the unknown thing beneath the city goes against everything that they believe in. Most have, now, had a change of heart. The producers weren’t certain how this dynamic will affect the show, but the Pride is now largely against Jonah’s actions. Now, the obvious place to go when speculating about RUNAWAYS Season 2 is the early comics. 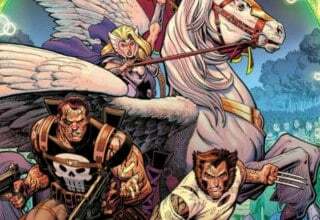 Season 1 dealt fairly heavily with the first arc of the comics. While that arc lasted a single narrative night and only six issues, the writers spread that time out in the show. This means that a lot more characterization and growth happened over the course of the season than in the comics. 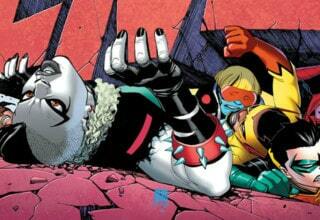 The second arc of the comics, titled “Teenage Wasteland,” truly saw the team coming together for the first time. In this arc, the team is living somewhat peacefully in the Hostel, a nearly caved-in 1920s mansion. During a routine food run, they get involved in a minor robbery, wherein they expose their powers in public. Escaping the scene, they join up with and recruit the supposed son of the robbers, Topher. Back at the Hostel, the teens discover that Topher is actually a centuries-old vampire. Topher tries to kill and consume them, and a massive fight ensues. While not the key to the overall narrative of the Runaways, this story does manage to touch on a lot of points. “Teenage Wasteland” gives the team the chance to really experiment with their powers and practice being a team. More importantly, it acts as a perfect introduction to the Hostel and its many nuances. Do I see RUNAWAYS Season 2 delving into the world of vampires? Probably not. The basic bones of this arc, though, really work well. If the Hostel is meant to be an important aspect of RUNAWAYS Season 2, then the team recruiting an almost-immediate traitor like Topher would work to characterize the place. Just after “Teenage Wasteland” pitted the Runaways against a powerful vampire, “Lost and Found” set the team against Marvel’s first runaways. Framing the teens for kidnapping Molly, the parents enlist the help of heroes Cloak and Dagger to capture their wayward children. However, after a vicious fight, Cloak and Dagger learn how wrong they were. In this instance, they had accidentally served the bad guys. With promises to inform the Avengers about the Pride’s threat, Cloak and Dagger disappear. However, the Pride captures them and wipes any memories of their meeting. This particular story served as a strong thematic narrative in the early comics. The parents continually found themselves at the end of their ropes trying to capture their children, going so far as to endanger their secrets to enlist police and superheroes. Now, in the comics, they simply wanted to end their constant interference. However, this particular story could take on a more compassionate aspect in RUNAWAYS Season 2. With the parents allied against Jonah, perhaps they bring in some outside help. Not necessarily to capture their children but to explain the real situation. While I would love for Cloak and Dagger to be that outside help, I doubt that would happen. After all, no crossovers have taken place between streaming platforms as of yet, and the state of the MCU is uncertain at best. These could be rival universes, for all we know. However, this doesn’t mean this storyline couldn’t work. 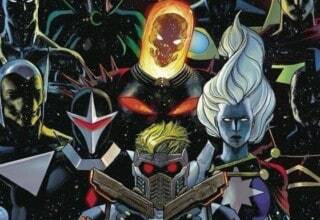 The writers could introduce some new heroes into the mix, whether obscure or invented, to fight the team. More importantly, I could see this being utilized well in this more human context. It would show that the parents are willing to do anything to protect their children. The story arc “The Good Die Young” acts as the climactic battle of the book’s first volume. This arc pits the team against their parents and their handlers, the Gibborim. These mystical god-like beings have conscripted the Pride into their sacrifices, and the children have vowed to stop them. After a mole reveals the Hostel’s location to the police, the Pride decimates the lair, forcing the team onto the offensive. During their final battle, the mole reveals himself to be Alex Wilder, who joins with the Pride just soon enough to be toasted alive in Hellfire. “The Good Die Young” is one of the most important and interesting story arcs in RUNAWAYS comics. Of all of the story arcs that could make an appearance in RUNAWAYS Season 2, “The Good Die Young” is the most likely contender. After all, it is the most natural jumping on point after Season 1’s end. The children have escaped, and the parents need to find them. It is that simple. 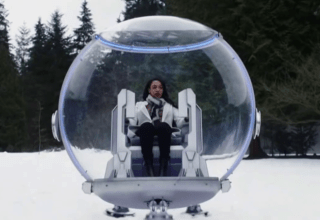 More importantly, with the show’s new take on the parents, this could really help motivate Alex’s eventual betrayal should the writers go that direction. This arc will likely act as the basis for the season as a whole. After all, the teens are already on the run. This arc would see the fruition of that tension. “The Good Die Young” is also interesting in the context of Season 1’s closing. I had always assumed that Jonah was the “Gibborim” of Leslie Dean’s “Church of the Gibborim,” but the season finale may have proven me wrong. The parents discover that the “thing” beneath the city is alive. Could this be the actual godly Gibborim, revealed to face the young heroes? One possibility for RUNAWAYS Season 2 comes from two separate story arcs. Each sees the team going to New York, where they are brought into the criminal underworld due to their parents’ influence. The first, titled “East Coast/West Coast,” Cloak returns to ask the teens for help. Someone has framed him for the brutal beating of Dagger, setting him against the Avengers. During this arc, Nico and Chase meet the Pusher, a drug dealer with deep admiration for the Pride. He attempts to recruit them into his crew, while also giving them information about Dagger’s assault. The second arc, titled “Dead End Kids,” has them visiting New York to meet Kingpin. Wilson Fisk wants them to steal a priceless relic, but after completing the task, the team is sent hurtling through time. Neither of these arcs would fit perfectly into the mold of RUNAWAYS Season 2. However, I do think that they set an interesting precedent. At the end of the first season, the team tries to hop on a bus to escape their parents, but the framing made this journey impossible. However, it stands to reason that they might still want to run as far as possible. Could they visit New York on whatever cash they have left, only to find people like the Pusher waiting to bring them home for credit? This type of story may be a stretch; after all, it would require a huge shifting of film locations. Nonetheless, it would provide an interesting backdrop to how far this version of the Pride has influence. RUNAWAYS’ first season had a substantial cast, with six main teens, twelve parents, and several other recurring characters. Still, the writers somehow managed to balance all of these characters. With the main cast fully explored, it only stands to reason that RUNAWAYS Season 2 may try to add new recurring characters to the roster. With that in mind, I think it might be important to discuss Xavin and Victor, two of the team’s most important later recruits. While neither may appear in the series (at all), they could also make an appearance at any time, albeit in different ways than originally conceived. RUNAWAYS Season 1 added an incredibly surprising plot element with the reveal of Karolina’s homosexuality. In the comics, she represented one of my first exposures to the LGBTQIA+ community, and for that, she has always been important to me for opening my mind. Her lesbianism, then, isn’t the surprising element. What did surprise me, though, was Nico’s. Whether showcasing a bisexual or straight lesbian mentality, Nico came out in the final episodes. RUNAWAYS Season 2 will likely pick up on these threads, as it rightly should. With that said, though, I couldn’t help but feel a bit disappointed. 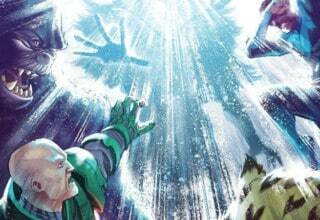 In the comics, Karolina falls for and becomes engaged to a Super-Skrull named Xavin. Their relationship not only broke boundaries of sexuality but of gender as well. 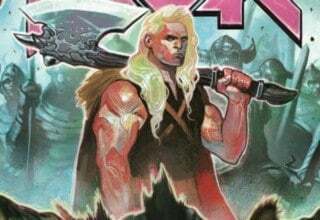 Xavin comes from a shapeshifting race where “changing [his] gender is as easy as changing his hairstyle.” Their relationship is one of the strongest in modern comic books, but Nico and Karolina’s relationship may negate the need for Xavin’s representation. I still believe that RUNAWAYS Season 2 could utilize Xavin, albeit outside of the Skrull namesake. The show could introduce a shapeshifting character into the mix, giving a newer element of superheroics. Not only would this be possible with the potentially higher budget (given the first season’s success), a love triangle sells, and pitting Xavin and Nico against each other would raise the tension even higher. Even better, Xavin’s arrival could illuminate Karolina’s past. We know almost nothing about where her or Jonah’s powers come from. Xavin could act as the stand in the show needs to dig into her past. By the end of the first season, super-scientist Victor Stein had been shot and lay comatose. As cliffhangers go, this was the absolute worst. We have no idea whether or not Victor will live or die, and the writers have their lips sealed particularly tightly on this matter. However, if Victor stays around, there is a ton of potential for another fan-favorite reveal. 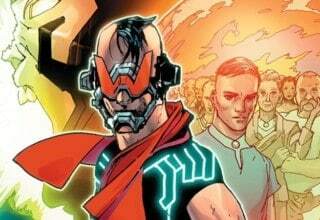 Could Victor Stein be the one who creates the life-like android and future Runaway Victor Mancha? On paper, Victor Mancha couldn’t work in RUNAWAYS Season 2. After all, he is the created son of Ultron in the comics, and unless Marvel wants to disintegrate the barriers of the MCU, that can’t work on screen. After all, Ultron is seemingly destroyed, and he didn’t live long enough to set anything major in motion. However, Victor Mancha could still exist in the MCU. After all, if Victor lives, he will have all the motivation in the world to chase down his son. Would it be so far-fetched to think that he would use his greatest tool, his mind, to build something to do it for him? Another, even creepier possibility? What if Victor Mancha is the tool the Pride uses to save Stein’s life? After all, he is dying at season’s end. Could the Pride transfer his consciousness to a robot body, also named Victor? Possibilities abound for this fan-favorite character, but it’s safe to say that his arrival is at least possible. Let me start this section off by saying this. I love Rainbow Rowell’s new run on the RUNAWAYS. However, I do not believe that her currently running series could work for RUNAWAYS Season 2. I know that Marvel has a knack for adapting their modern or most popular story arcs for their film and TV. That is simply good marketing. Nevertheless, Rowell’s run would not work on even a logistical level. In terms of the comic book timeline, RUNAWAYS Season 1 ended in the same place as issue #6 of the original series. 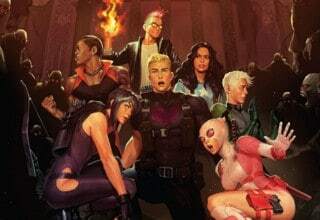 That means that it is still missing 48 issues of the original RUNAWAYS series, as well as the events of AVENGERS AI, AVENGERS ARENA, AVENGERS UNDERCOVER, and A-FORCE. Rowell’s run is meant as a reunion issue. It takes a look at these heroes after they have survived being superheroes. They have the ability to settle down a little bit, without world-ending threats to bother them. Rowell’s team has survived everything thrown at them, and now they are reaping the rewards by trying to live a normal life. In RUNAWAYS Season 2, though, the team is still in the process of surviving. 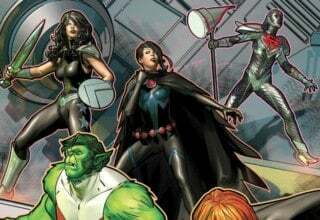 The team make-up isn’t even the same, with Victor, Xavin, and Klara having never existed. The other major element that makes this difficult comes from the fact that Gert hasn’t died yet. Rowell’s run acts as a means to revive Gert and explore how her death affected the team. Without this central piece, a television adaptation at this point would fall apart. Now, could it happen in the future? Definitely. But right now, too many pieces are missing. As I said at the start, there are so many possible directions for RUNAWAYS Season 2 to go. With so much history and material to work with, the writing team has a challenge ahead of them. However, I still hold true to the belief that “The Good Die Young” will act as the main basis for the season. Elements from other stories will likely leak in, and the show’s unique continuity will likely shift things around. Nevertheless, “The Good Die Young” would tie nicely into RUNAWAYS Season 2. After all, the teens are already on the run. It would only make sense for the Pride to send whatever resources they have after them. I can just see this season ending with a massive climactic battle against Jonah and the Pride. No matter where the show goes, though, I trust in this creative team. They managed to successfully adapt one of the most influential comics ever written. Previous article Could A Hawkeye Solo Film Be In The Works For The MCU?